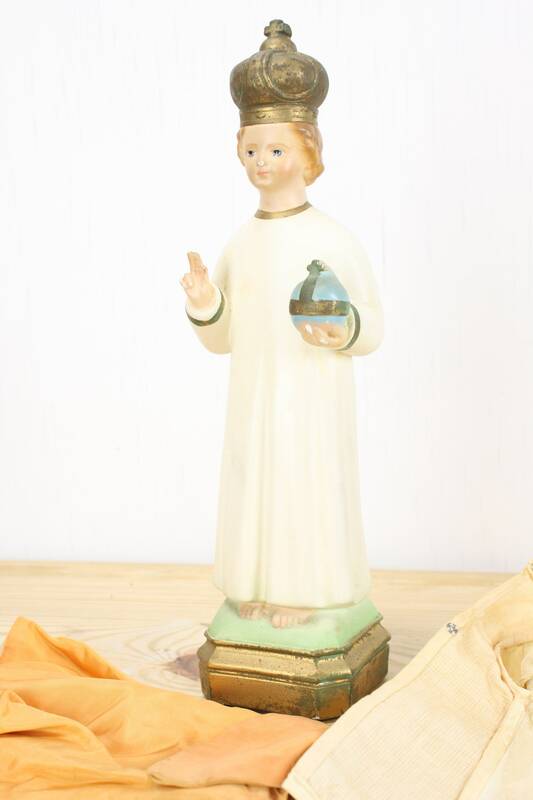 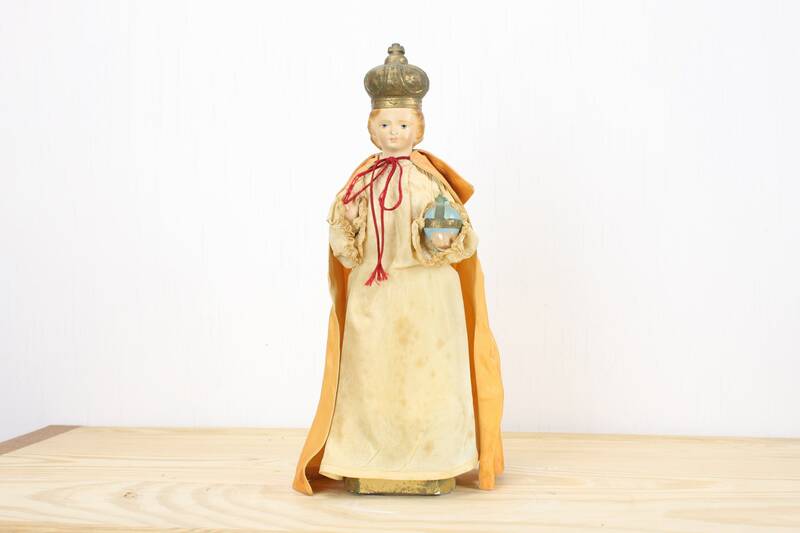 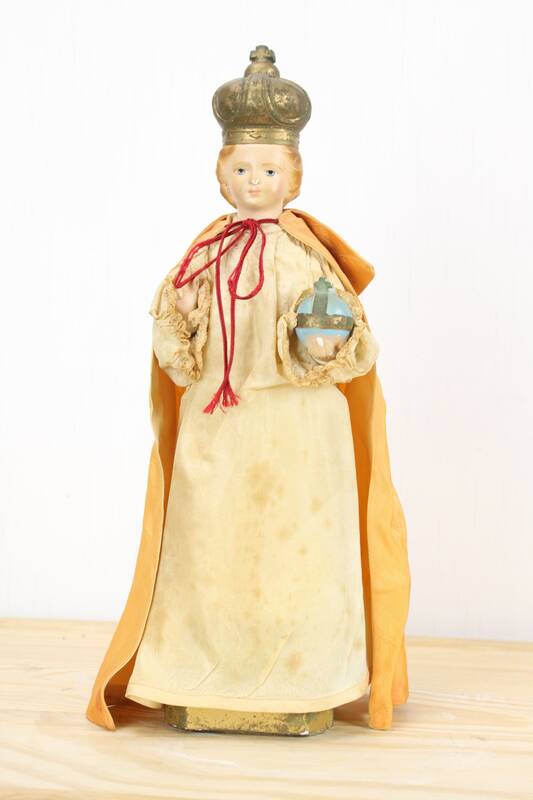 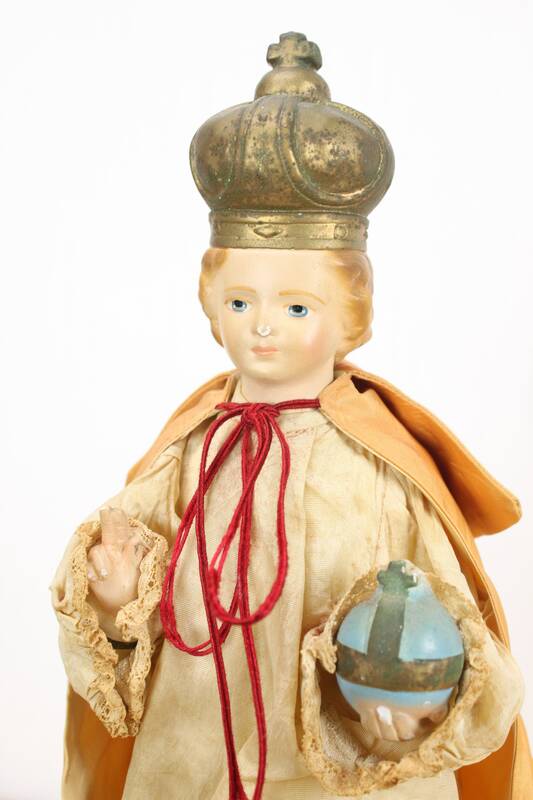 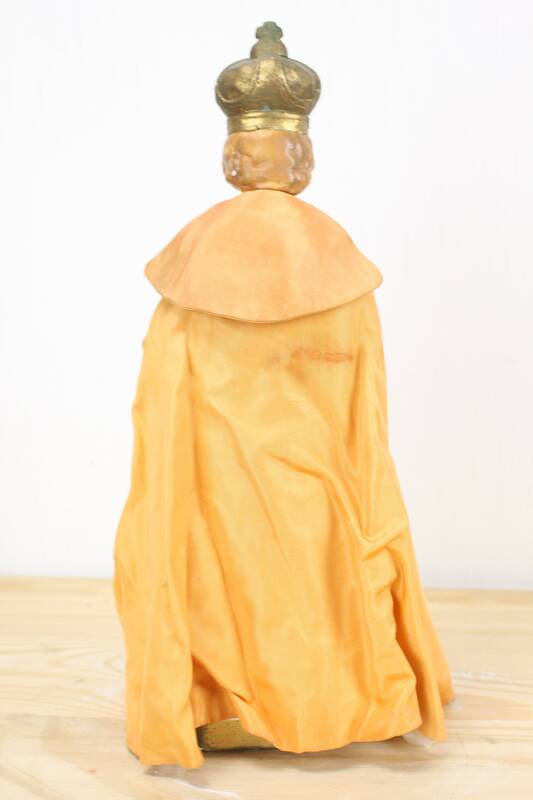 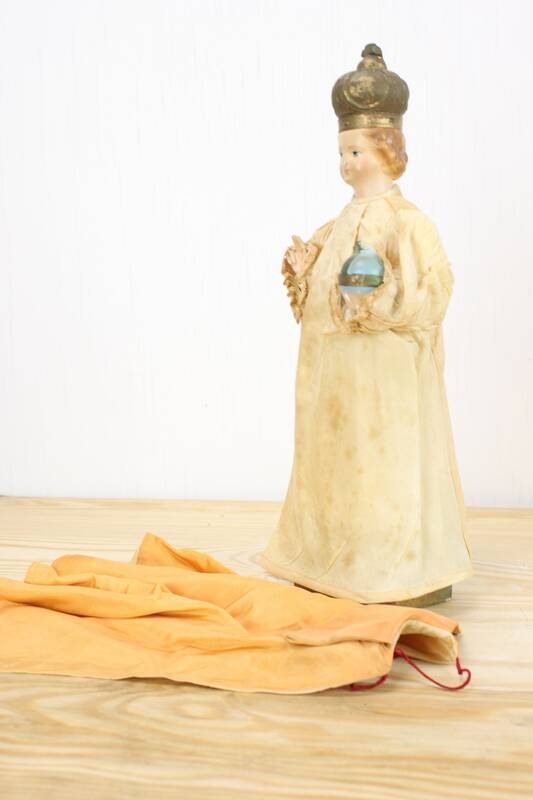 Elegant chalkware statue of the Infant Jesus of Prague. 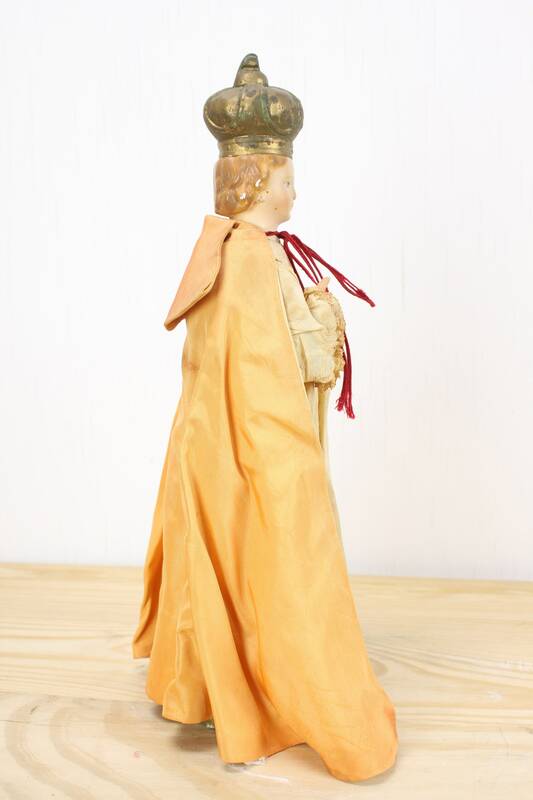 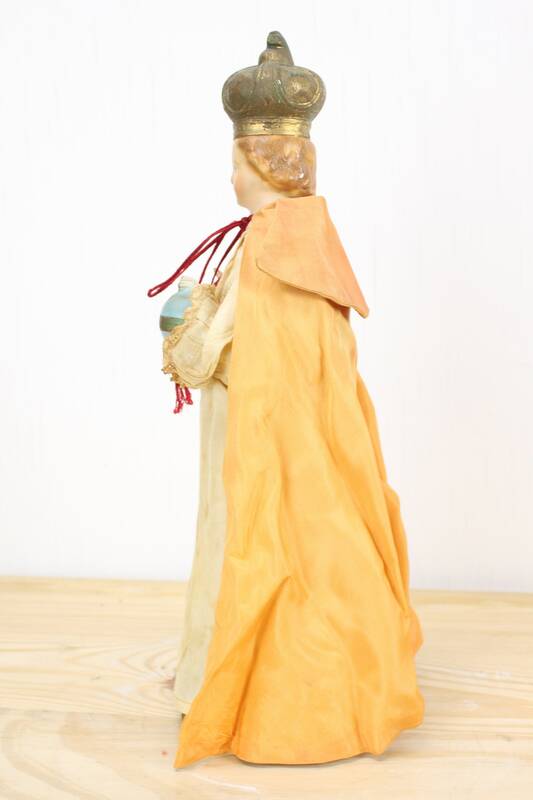 This piece features the image of the child Jesus robed in silk and satin garments holding the globus cruciger (orb and cross) in one hand and gesturing with the other. 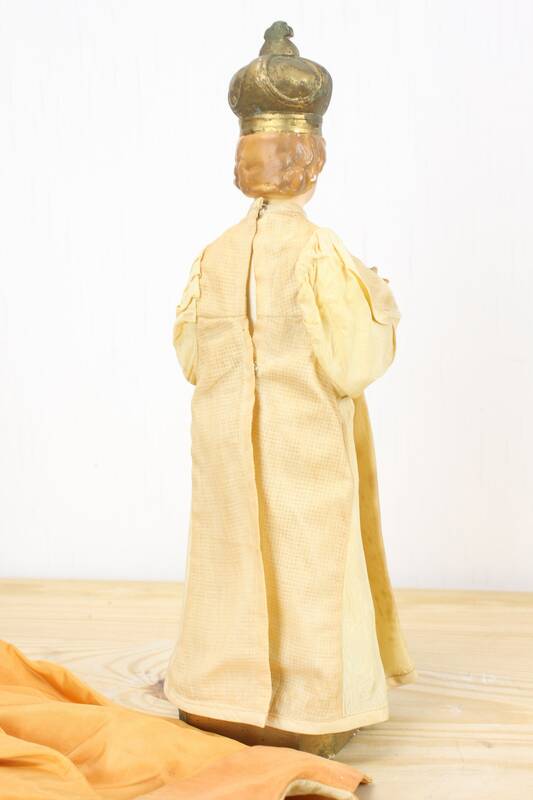 The piece does have some minor imperfections (see photos) but is in overall wonderful condition. 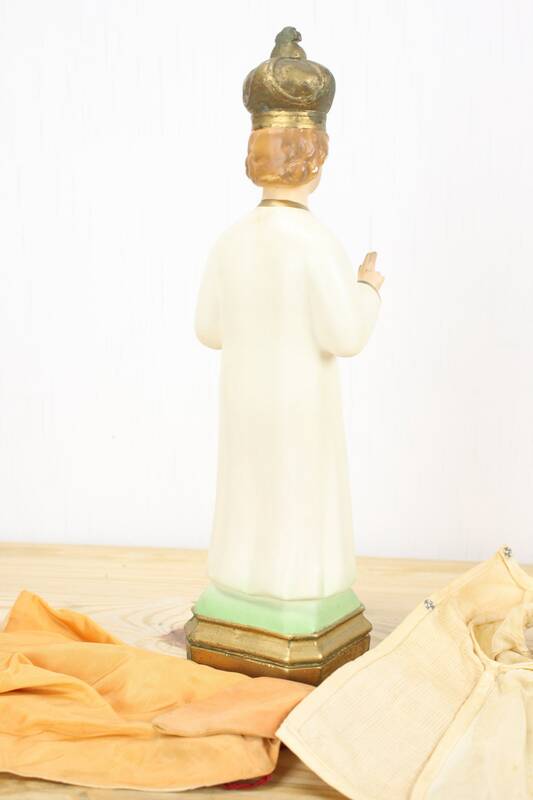 This statue measures at 13 inches tall - an impressive height for this type of statue!